Nice place but does have a few drawbacks. Wonderful location and friendly staff. Great shower and restroom facilities. Nice laundry room and place was nice and clean. Now the bad. Trains trains and more trains in all hours of the night and day. They were so loud and would honestly shake the whole camper. They say they never hear anybody complain about it but I call bs because that and how tight the sites were what all the guests talked about while we were there. 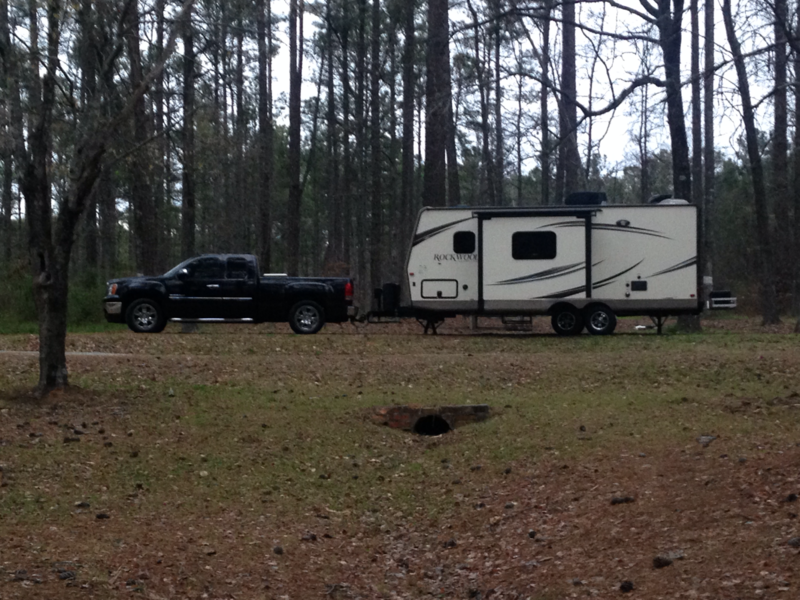 And did I mention tight sites what a normal campground calls a pull through site they call two back in sites. Stayed three nights and had to move on so we could get a entire night sleep. Nice place close to D.C. Within minutes to downtown D.C. No hookups but it does have shower facilities at each loop as well as water to fill your tanks in each loop. Sites are a little in level. But really no other issues. No water on site but has vaulted toilets. Very close to interstate. Would stay again for sure. Level sites and well shaded. Stayed three days and only complaint we had was the shower situation or lack there of. At $50 a night you would think they could actually bud a bathhouse closer than 3/4 of a mile away. Besides that no complaints. Very nice quiet campground that is within 15 minutes to down town Santa Fe. 30 and 50 available. Sites were level and the male owner was a very helpful and nice guy. Only draw back was our site was close to the sewer pond and with the right wind it did get bad at times but was bearable. Clean little campground. Outdated but good enough for an overnight stay. Pros are quiet, close to I-40 and with electric both 50 amp and 30 amp, water and sewer hookups. Cons wifi is non existent, no cable and no tv reception through antenna.